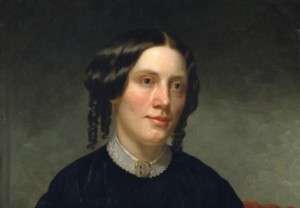 Did Harriet Beecher Stowe really start the Civil War in 1852? Probably not. But she did force people to think about the evil and immoral nature of slavery with the publication of her novel, Uncle Tom's Cabin; or, Life Among the Lowly. Stowe, born in Litchfield, Conn., and her husband Calvin Ellis Stowe, from Natick, Mass., were ardent abolitionists and supporters of the Underground Railroad. With the passage by Congress in 1850 of the fugitive slave act, states were ordered to assist in returning escaped slaves to southern slave-owners. Officials who didn’t arrest suspected runaways were subject to fines, as were citizens helping the escapees. Special commissioners were empowered to police the law and due process was eliminated for slaves captured in the North. The act was designed to stop the flow of escaped slaves into Canada. Canada gained popularity as a safe haven for slaves following the Revolution when the British assisted slaves who had fought for them in fleeing to Canada rather than face re-enslavement following the loss of the war. The law only further stoked the anger of abolitionists, and prompted Stowe to pick up her pen. Barely five-feet tall, Stowe began writing Uncle Tom’s Cabin, largely at Bowdoin College in Brunswick, Me. where her husband was teaching. It started as a serial in a magazine, but soon publisher John P. Jewett of Boston approached Stowe about publishing it as a book. Initially doubtful about its potential, Stowe nevertheless agreed to publication and following publication on March 20, 1852, sales skyrocketed both in the U.S. and Britain. More than 300,000 copies of the book were sold in its first year in the U.S., with even greater sales in Britain. After several years it went out of print, finding a new audience when it was reprinted during the Civil War. While scholars find it doubtful that Lincoln actually said that, there is no doubt that the little woman from Connecticut did much to stir popular opinion and prodded the American conscience on the issue of slavery. We sometimes forget the history behind a book. We written post. Thank you. Good for Harriet!! Thanks for reminding us.